This may be my favorite craft ever. 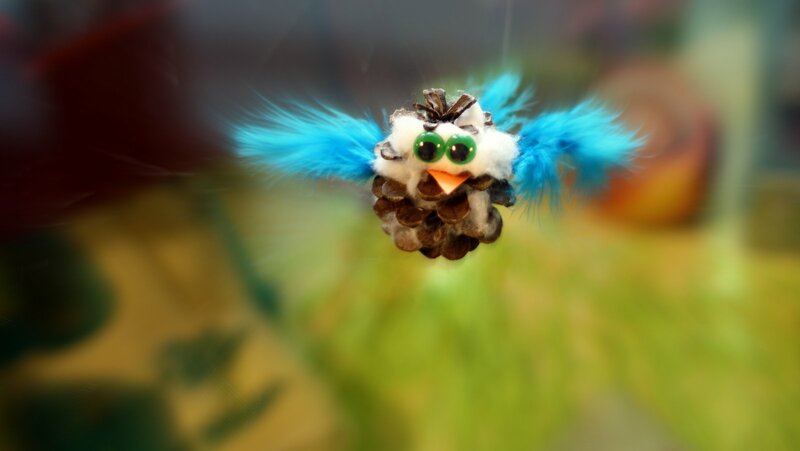 Don’t you just love this owl? Every good wizard needs one, and luckily, they’re very easy to make! Miss Kat forgot about the orange paper scrap. 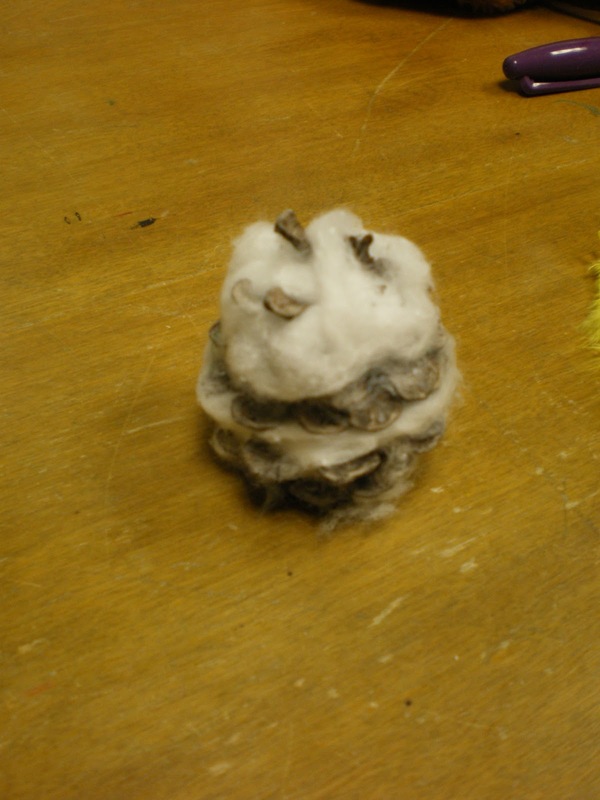 Pull your cotton balls apart into wispy strands, and wrap them around the pinecone, to make it look like it has some feathery bulk. Add a little extra cotton in the face area. 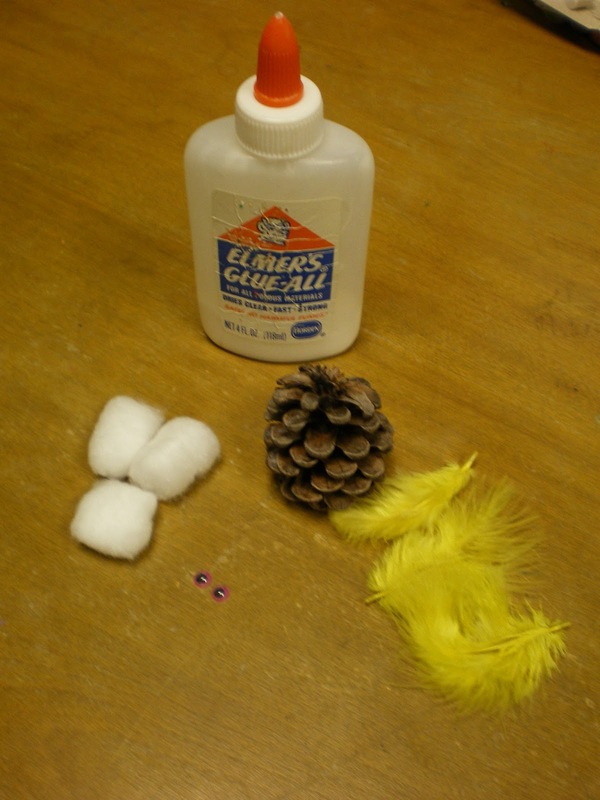 Insert a feather in each side for wings, and one in the back for a tail (depending on the size of your pinecone, you may need to add a drop of glue to the ends of the feathers, so they don’t fall out). Cut a small triangle for a beak, and insert it to the face area. Glue two googly eyes to the face. 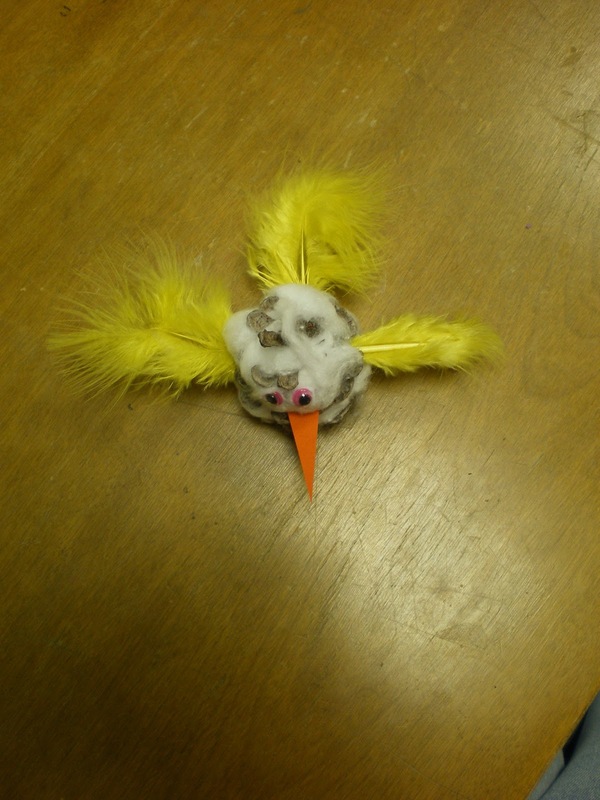 An aerial view of the assembled bird. Let me know what your owl looks like! I hope he is as cheerful as my blue one, and not as sad as my yellow one. The kids loved this craft, and since it costs literally pennies to make and I had plenty of supplies, I let them make as many as they wanted (one wizard made four!). 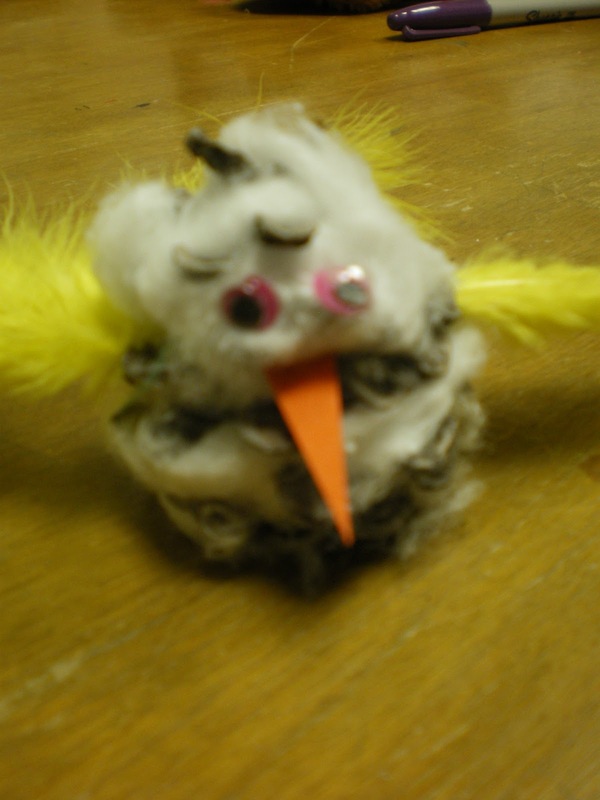 If you make your own owls, please post a photo on our Facebook wall, so we can all share the fun!